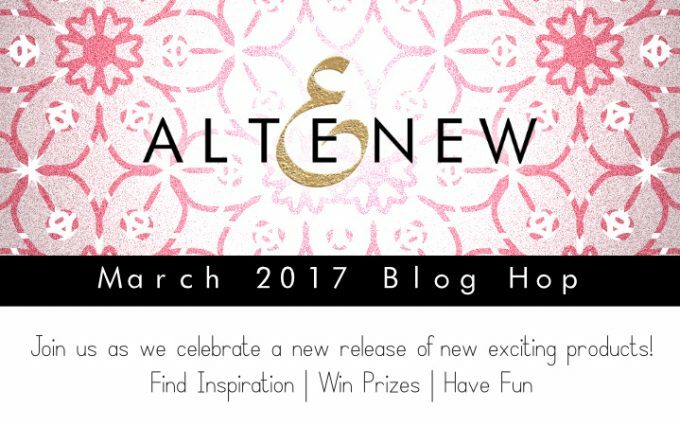 Hello and welcome to Altenew March Release Blog Hop! We are releasing 7 stencils, 12 ink sprays, 13 colored cardstock and 7 envelopes and glue-tape. You probably came from Aimee Dow blog. 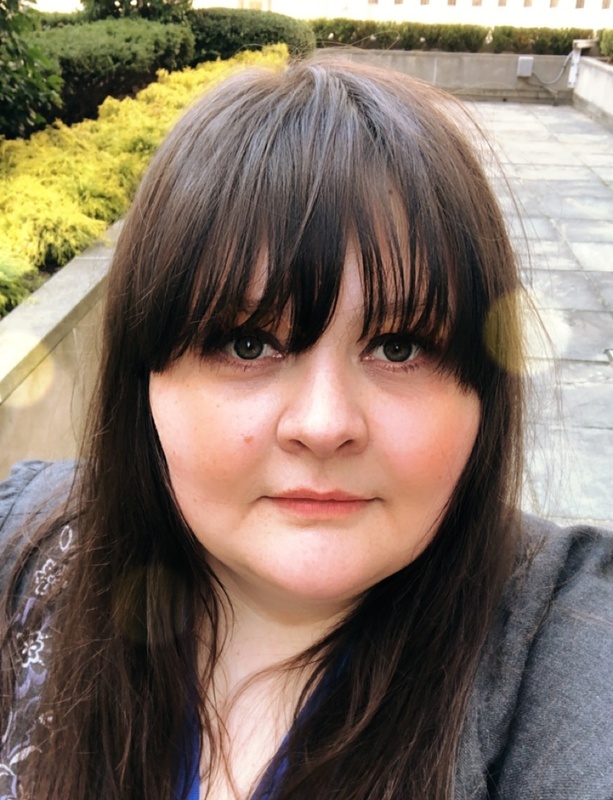 If not – you may consider starting from the beginning at Altenew blog and see what other members of Altenew design team and guest designers sharing (and also you have a chance to win a prize). I created two cards made using new supplies from this release. For the first card I used Layered Medallion A and Layered Medallion B stencils. These stencils are so much fun. You can use them on their own as well as combined, one placed on another. To start off I took a watercolor panel and placed Layered Medallion A stencil onto it. Then I sprayed it with Ocean Waves spray. I let the spray soak into the panel a little bit and placed Layered Medallion B above. Then I sprayed this panel with Dusk spray. The texture of sprayed design and sprays metallic shimmer resulted with this gorgeous background, which looks kind of velvety. I made an A2 top folding card base using white cardstock and adhered the panel onto it. As my background was pretty busy and bold in order not to overwhelm my card I decided to make the rest of it pretty simple. Using Super Script stamp set (and the set of matching dies) I made a hello DIY chipboard. By stamping it using Dusk ink and die-cutting, along with die-cutting 4 or 5 plain white hellos and adhering all pieces together. I also white embossed another part of the sentiment onto a stripe of black cardstock. I adhered the hello onto the panel placing a tangled silver string underneath. Lastly I added several silver sequins. The Floral Drape stencil is gorgeous! First of all it’s a bigger one, so you can use it not only for a card but for a layout or some other bigger project as well. Or you can make a background onto a letter size cardstock, cut it in 4 pieces and you will get 4 ready to go backgrounds. For my card I used this stencil in a bit unusual way. First I took a watercolor panel, placed the stencil onto it and spritzed with Caramel Toffee and Ruby Red sprays. I also spritzed the same sprays into small bowls and used them as a liquid coloring medium. I was using sprayed design as a guide and colored over with sprays. As a result I got such an interesting effect. The sprayed uneven layer is seen through the coloring one which adds some texture to it. I foam mounted the panel onto an A2 card base and added a sentiment from Label Love set stamps with Industrial Diamond to the bottom part. New stencils, ink sprays, colored cardstock and envelopes and glue-tape are available in store now. Altenew is giving away a $50 gift certificate to 3 lucky winners. Please leave a comment on the Altenew Blog by Thursday March 16th at 11:59 PM EST. Winners will be announced on the Altenew blog on Friday, March 17th. I will also randomly choose a winner from comments left on this post and the prize will be $30 gift certificate to Altenew online store. Please leave a comment on this post by Wednesday March 15th at 11:59 PM EST for a chance to win. I will announce the winner here in this post on Thursday, March 16th. The winner of $30 Gift Certificate is Barbara J. Baxter. The next stop in the blog hop will be my dear friend May Sukyong Park. If you got lost, please go back to Altenew Blog. 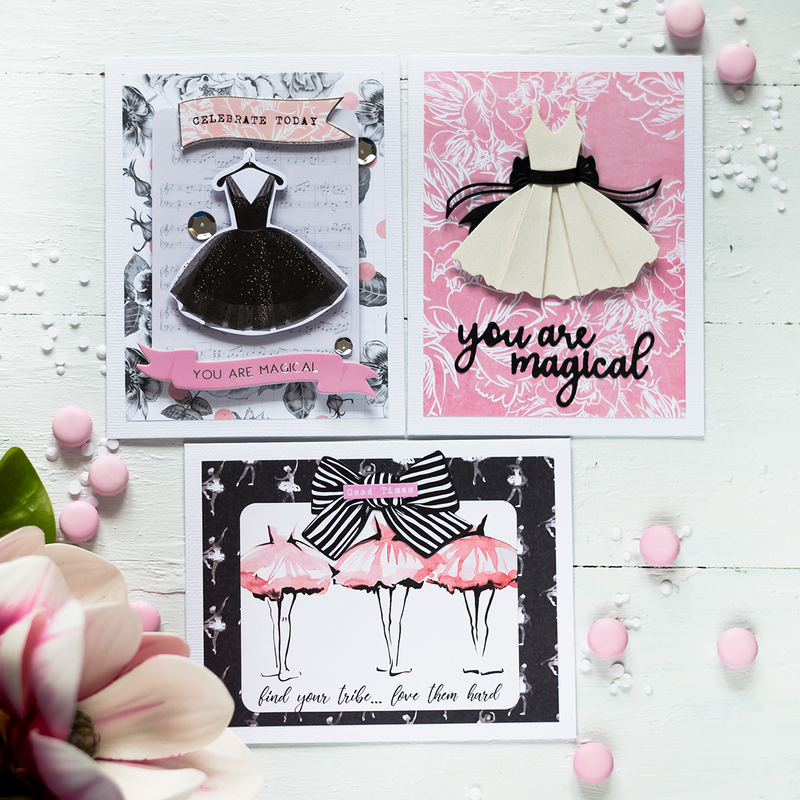 Beautiful cards, beautiful stencils and beautiful shimmer inks! Beautifully done! Beautiful cards, Svitlana! 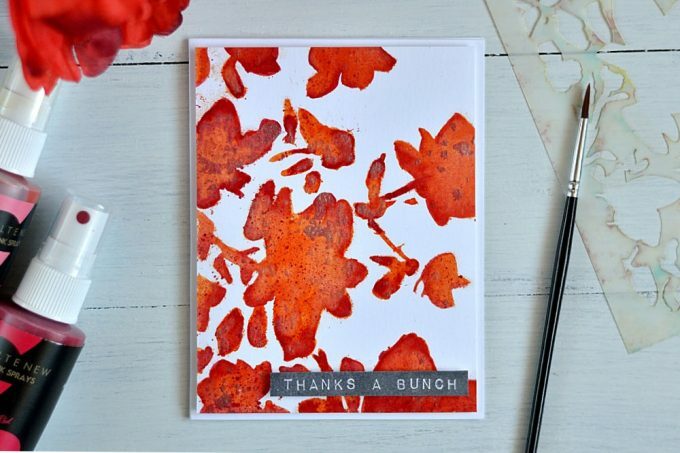 I love the way you combined the stencils, great idea, gives movement to the card. I have to agree with everyone, the floral drape stencil is beautiful! Your coloring of the stencil is so different, I like it 🙂 Thank you for sharing! Love your designs with the new shimmer sprays and stencils! Those are beautiful. I love the bright colors. There are so many ways to use the stencils and sprays – I would love to use the sprays for watercoloring. I love the bright distressed look you got! Beautiful cards. I like how you layered the stencils on the first one. Love the new stencils and sprays! Your cards are gorgeous. Thanks for all the inspiration. It is appreciated. Fun and stunning techniques. Great cards . Thanks for sharing. That red, though! Beautiful. You did get an interesting effect, and I love it. Thanks for the inspiration! Love your designs with the new sprays and stencils! Wow!! Beautiful Cards..loved them.. Thank you so much for the inspiration and for this generous giveaway.. Thanks for sharing your ideas on how to use the new release stencils! I am so glad you described the red one. What a wonderful technique! Beautiful colors, beautiful stencils, beautiful shimmer, beautiful cards. Thanks so much. Pretty cards with the beautiful new ink colors. You have two beautiful cards. Thank you for sharing. Світлана, дуже гарні листівки!!! Сподобались нові трафарети та спреї – цікаве використання! Such vibrant colors, thanks for the inspiration. Such vibrant colors and wonderful new stencils, thanks for the inspiration. Can’t wait to try the inks. The new spray inks look like so much fun. Your blue Hello card is my favorite. Beautiful work as always, Svitlana! I love the bright, bold colors you used! These are both so pretty! Love the bright colors of the new sprays. Thanks so much. Such amazingly vibrant cards Svitlana. Your work is awesome as always! Both cards are great but that beautiful vibrant red just stole my heart. The stencil looks amazing and I can’t wait to get my hands on those sprays. Hope I can create results like this! Very pretty cards. 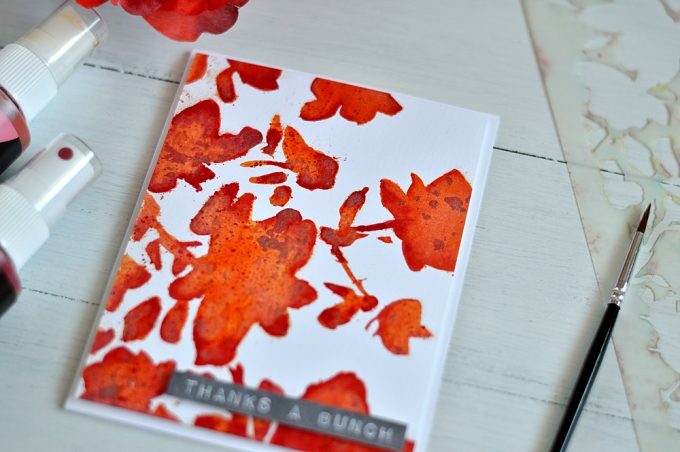 The red floral drape card is amazing and vibrant! Thanks for sharing. Beautiful cards! Love how vibrant they are! These cards are stunning!! 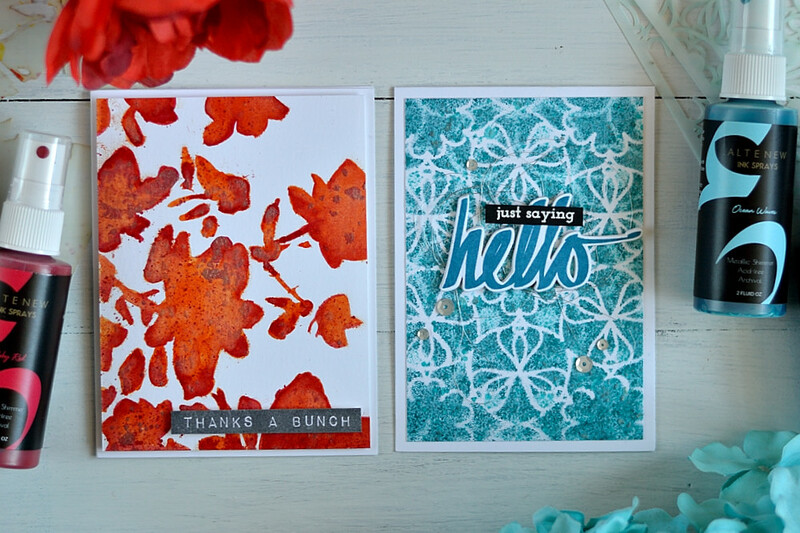 I LOVE your colors and the beautiful way you used the stencils on these!! Beautiful bright cards!Although I don’t like red much in general, I have to admit that your red card looks stunning! Such pretty cards, very different from each other. Nice job. Both cards are beautiful. 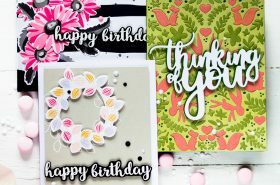 It looks like great fun to work with these stencils and the sprays, and your cards, and all the cards and layouts on this blog hop, have been amazing. Love these awesome cards & those beautiful sprayed colors!! Your cards are wonderful and so is this new release!!! Oh WOW! The cards are sooooo beautiful!!!! Thank You so much for sharing your creations. I am in love with the Floral Drape Stencil. You really captured great color and texture. The velvety look of each of these cards is so vibrant with color. Thanks for sharing each of them. Really excited about the stencils and ink sprays! Gorgeous cards! Love the colors! Wonderful cards! I love how you achieved the texture by both spraying and water coloring with the floral draped stencil. Thanks for the great ideas! Your cards are just stunning. I love the bold orange. Such lovely cards! This release looks amazing. Beautiful – I love the new stencils and ink sprays. 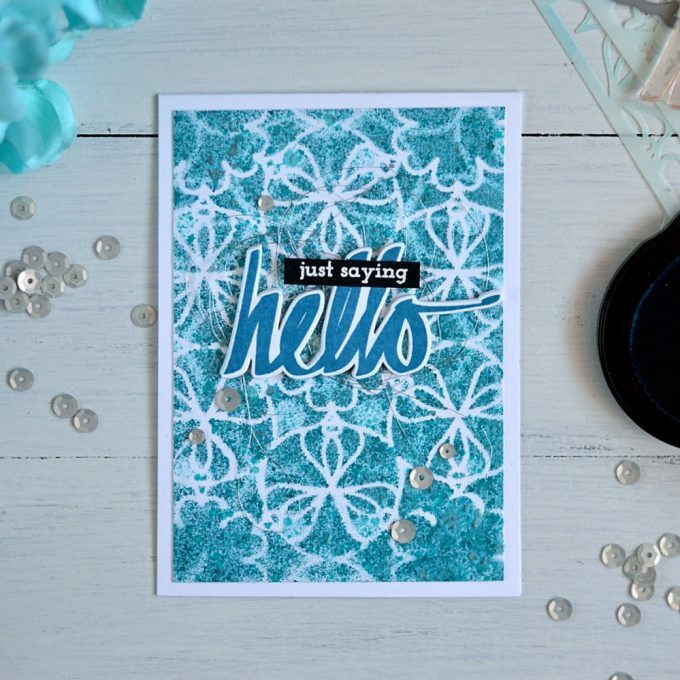 Love your cards with the new stencils and Shimmer Sprays. They are beautiful. Beautiful cards – your work is always inspiring! These inks and stencils are amazing! Thanks for sharing your Creations! They are beautiful! Such lovely cards – those colors are fabulous! Thank you for the inspiration! Beautiful cards !!! Beautiful cards. I love the way the new stencils seem to lead to effortless beauty. Great new release, eager to try out these stencils. Really pretty cards, love the colors you chose!!! Nice cards. Thanks for sharing! WOWZERS! Gorgeous cards! 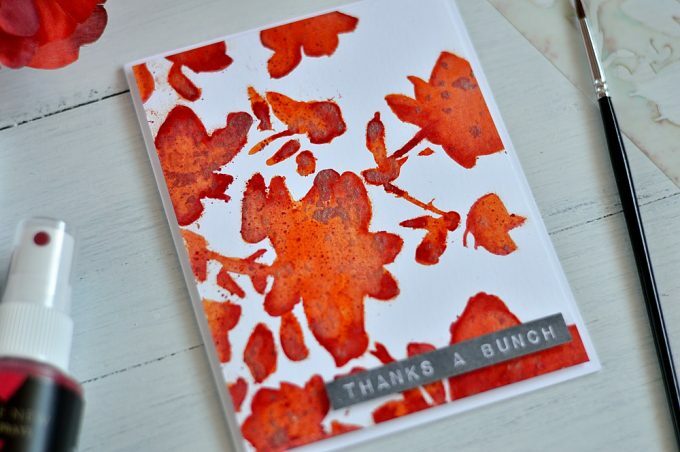 I especially love the stenciled red flowers card! Really beautiful cards. I love the addition of the silver string to the first card. Very interesting!! Thank you for sharing your inspiration. Very pretty cards… I love the colors. and the texture of the spray. Wonderful! That floral drape stencil is amazing! Love how rich and bold that card is! I love your style. Thank you for the creative energy! So great to see the variety of ways the sprays and stencils were used on the blog hop! Great cards – really vibrant colors with those new sprays! Can’t wait to try some of the stencils and sprays from Altenew’s release. Thanks for sharing your creations! Love the vibrant colors! Beautiful cards. I love these two cards. Bright, vibrant backgrounds. Very effective. Those new stencils and sprays are fabulous. Nice cards and use of the new products from Altenew. Thanks for the inspiration and the opportunity to win. Loved the choice of colors that you used for your designs this month. Great inspiration once again! Sweet cards! I especially like how the red one looks like it has dimension! I love the orange on the flowers! Wonderful bold colors and textures. The new sprays are amazing! Bold and Beautiful! Love the colors! Обалденные открытки! И как-то маловато да, всего две)) Я довольно холодна к спреям, но в твоем исполнении они смотрятся очень вкусно! И первый дизайн просто бомбический! Both your cards are just gorgeous. Stunning cards! The stencils and mists create such gorgeous elements. Fabulous cards. Hard to believe you can do that with ink sprays. Can’t wait to try it. Thanks for sharing your talent! I can’t get over how brilliant the spray ink colors are! I love your vibrant cards, especially the blue one!! I am definitely adding these inks to my stash and the stencils too! Budget be damned! TFS! Beautiful cards. 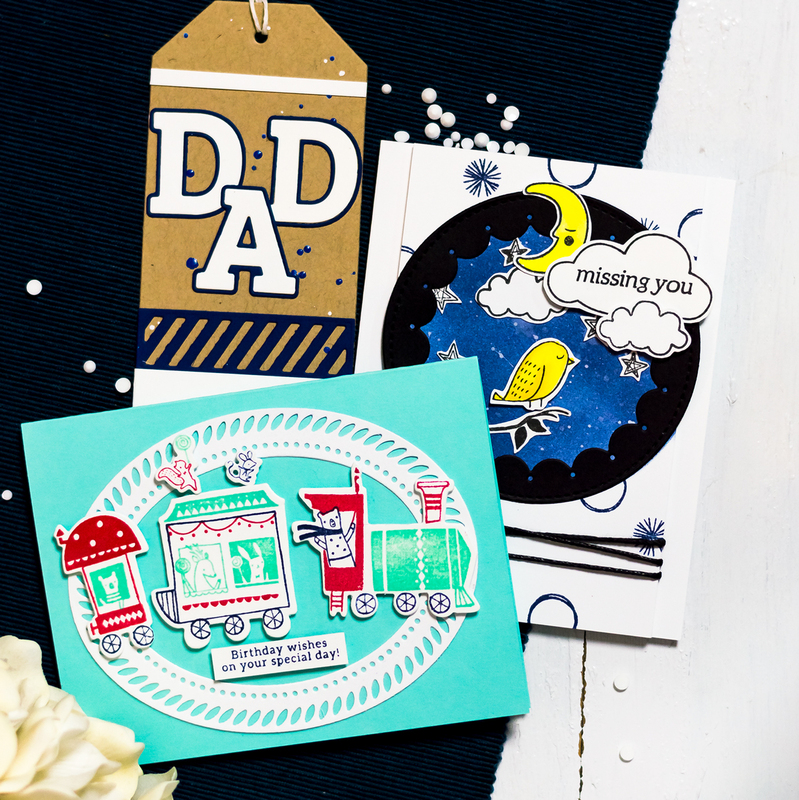 Love the sprays and stencils..
Gorgeous cards! So bold and fun! Love your cards! I especially like the colors you used on the second one! Great new Altenew release! I’m totally enjoying this hop and all the talent here. Thanks for sharing yours! I love how you layered the ink sprays. That was so creative and the results are beautiful. I love how much depth and richness you get with your colors. Beautiful. I love how you used these stencils! Pretty cards! These are so pretty, I love how you got texture with the ink sprays as well as the pattern with the beautiful stencils – great technique! Thanks so much for the inspiration! Stunning cards! Wonderful blog hop and a great release! Svitlana, both of your cards are inspiring. I love how you used two stencils and two ink sprays on the first card. 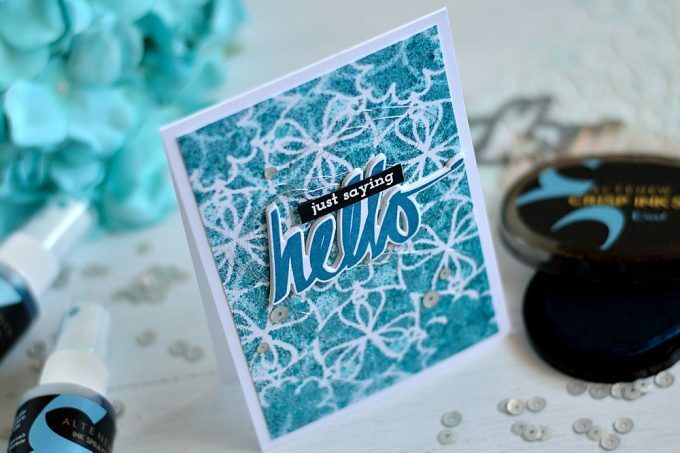 The bold hello sentiment is perfect against the background. The way you used the Floral Drape stencil with the spray inks used as a spray and then as a paint did turn out beautiful! Thank you for sharing. Beautiful cards. I like how you used the stencils. Wonderful cards, beautiful backgrounds. Love the new stencils. amazing designs!! Love each and every single one!! Great use of the stencils…love the cards. Oh my! The first card literally took my breath away. It is gorgeous! It certainly helps that it is my favorite color, but it would still be a wonderful card. Your second card is also beautiful with its rich autumn tones. Gorgeous cards! Love the stencils and sprays in this release! I am loving the stencils and the spray inks, which I had never heard of until this hop by the way. Stencils are so much fun and I have some but not these. I love the flower one you did that looks like you used water colors on them. That is such a cool technique and besides you, I’ve seen a few people do it on this hop. I am learning so much on this blog hop and having so much fun too! 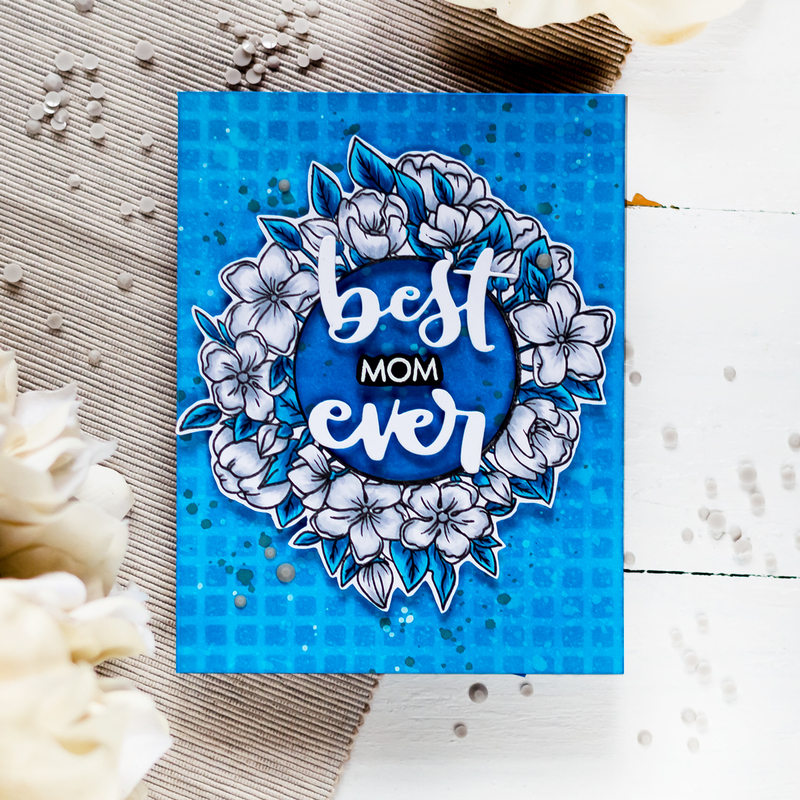 The background stencils look like so much fun and I love that blue color you used on your card. It looks like the ocean at a Caribbean beach resort. You did a beautiful job on your cards. Thanks for showing them to us and for giving us the chance to win something. These cards are very, very pretty! I love how you used the stencils and I love the chipboard script sentiment! It gives it so much diminution! Is that how that’s spelled? lol. But it just pops right off the page and is so thick and pretty! tfs! 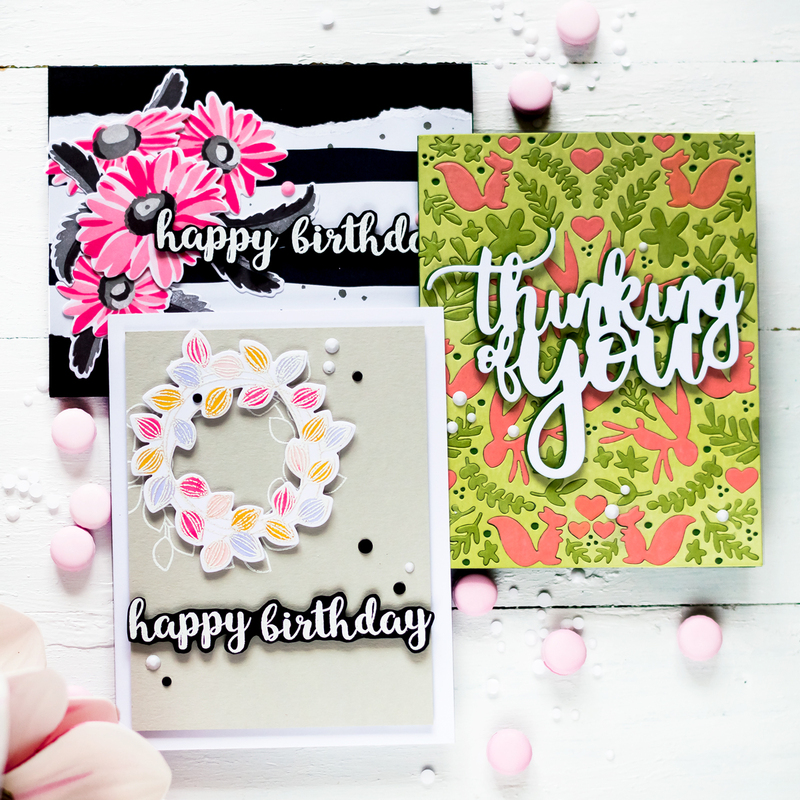 Beautiful cards – I especially love what you created with the Floral Drape stencil – stunning! Love the way you used the stencils and the new sprays! These shimmer sprays are so pretty especially paired with the stencils. So pretty and I love the cards! Beautiful cards! I love the layered colors and medallion stencils, and the sprayed then watercolored floral drape stenciled card is vibrant and gorgeous! Lovely cards! I like the coloring. Very nice cards! The red over painting looks really great on the floral stencil! The blues look nice too with the layered stencils. You’re right, the layering of your coloring over the sprayed layer in the second card looks really cool! Thanks for the inspiration and giveaway! These are both pretty cool. I love seeing how the sprays give it a different look. Thanks so much for sharing your talent with all of us! Both of your cards are beautiful! I love the effect and texture you created with the floral drape stencil, spraying then painting is such a great idea and your results look amazing! Great cards, Svitlana! This is an amazing release and you made good use of it. Thanks for sharing with us and for participating in TWO great giveaways! It looks so easy to use these sprays – and so many different ways to use the sprays as well! I love your cards. They are so stunning! Thank you for sharing your creative ideas! Such pretty colors on your cards! I just knew that you were going to have a blast with these new products, you are seriously a technique queen! and I can’t wait to see what you do next, thanks yet again for the inspiration! Wowowowow!! Incredibly gorgeous. I adore the vibrant colors!!! Beautiful bright colors and an interesting way to use them. Your cards are both stunning! The colors just scream WOW! How are you liking NYC? We live upstate, outside of Oswego- pretty cold and snowy today huh?! Lovin’ the layered stencils and the new ink sprays. Great cards! Love how you showcased the great new products. 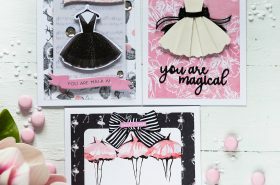 These sprays and stencils are fabulous and I love how your gorgeous cards turned out!! Love both cards, I have not done a lot of stenciling on my cards but these stencils look like a ton of fun to be had! Thanks for the inspiration Svitlana! Have a wonderful day! Beautiful rich colours. Thanks for sharing your creations! Am loving the new stencils and their images!! So versatile and these cards are so vibrant and ethetral! Loved your colorful cards–nice stencil work. Love both of these card Svitlana! Your colors are so bright and bold! Love the stencils and spray cards. It is such a cool look. So very pretty!